After a year away from the NCAA Tournament, Mark Turgeon and the Terps look to reload with a mix of youth and veterans in College Park. Maryland coach Mark Turgeon said that last month on Media Day. He also said those very words in the fall of 2014 when the Terps were coming off of a flurry of transfers and seemingly an eternity away from the NCAA Tournament. Then his team reeled off 28 wins and made the Round of 32. Regardless of whether he did or did not, what is a coach supposed to say in October? Media Day is an island of optimism in a sea of late night scouting sessions, long practices and longer road trips. Should he offer up: “Things aren’t coming together — we will be lucky to win 10 games this winter” instead? Turgeon had every reason not to like his team last winter … as lofty preseason expectations dwindled into a 19-13 finish that saw the team struggle on the road, trail by 30 at halftime in the regular season home finale and watch their Big Ten Tournament run end in with a loss in the final minute at Madison Square Garden. After three straight years of making the NCAA Tournament, last March was a bitter pill to swallow. 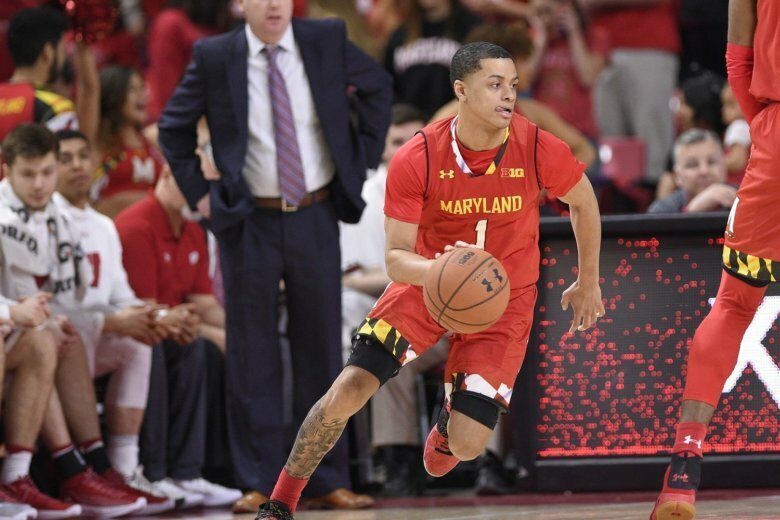 The main veteran leading the way this winter will be junior guard Anthony Cowan. The Preseason All-Big Ten selection led the conference in minutes last season, and while freshman Eric Ayala is expected to spell him a bit at the point, the Bowie, Maryland native is more than ready to take ownership in this team. “I want that. I want to be the person that everyone looks at when they need help on or off the court,” said Cowan. While Cowan runs the offense, expect further growth for sophomore forward Bruno Fernando. Fernando led the team in blocks and was second in rebounds as a freshman. He also led the Terps in unbridled energy — coach Turgeon said his goal this fall was to make sure the Angolan stayed out of “fifth gear.” Fernando’s new approach? Fernando will have plenty of help inside with the addition of five star recruit Jalen Smith. He’s already helped bring the freshman up to speed. The 6-foot-10-inch freshman from Mount St. Joseph’s High school is expected to make immediate impact, more with his deeds than words. Smith is one of six freshmen making his debut this fall: Aaron Wiggins scored 14 points while starting the exhibition against Lynn, while Eric Ayala and Serrell Smith played major minutes off of the bench. Ayala’s the intriguing piece to the puzzle — if he can spell Cowan at the point while also being productive at the shooting guard position, the 6-foot-5-inch combo guard from Wilmington, Delaware can provide a major boost off the bench. But he feels the whole class will make an impact. This young team enters a new era of Big Ten competition — they’ll be playing 20 conference games for the first time. Three schools — Michigan State, Michigan and Purdue — begin the year in the AP Top 25, while the Terps are one of four Big Ten teams receiving votes (Indiana, Nebraska, and Wisconsin are the others). Pesky Penn State, which always gives Maryland fits, comes to College Park Dec. 1 in the league opener. November’s non-conference tests include the Veterans Classic Nov. 9 at Navy and a home game against Virginia in the Big Ten-ACC Challenge Nov. 28. But a rebuilt roster and revamped approach has the coach confident.